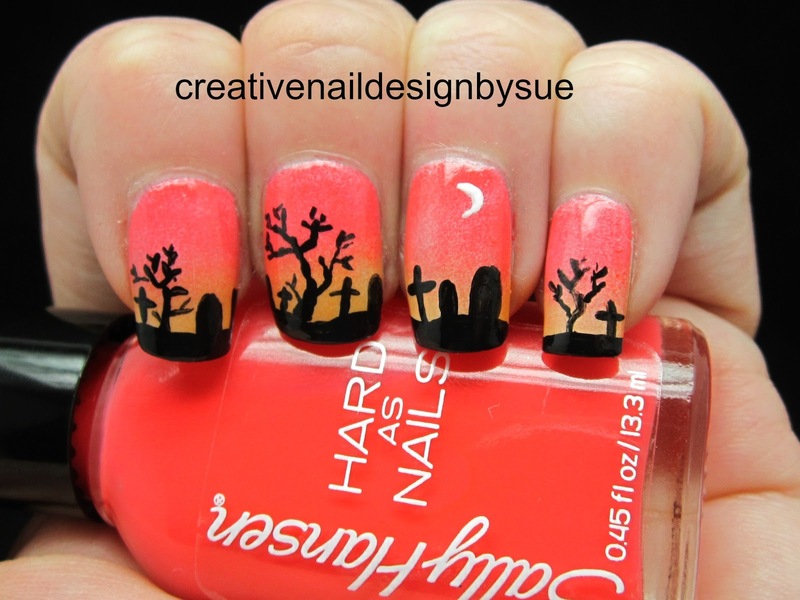 Your nail art skills are amazing! Amazing! I like the background that you choosed to the tombstones very much. Great manicure, the base gradient is gorgeous! Sue, I loooove this! You always have the best! !